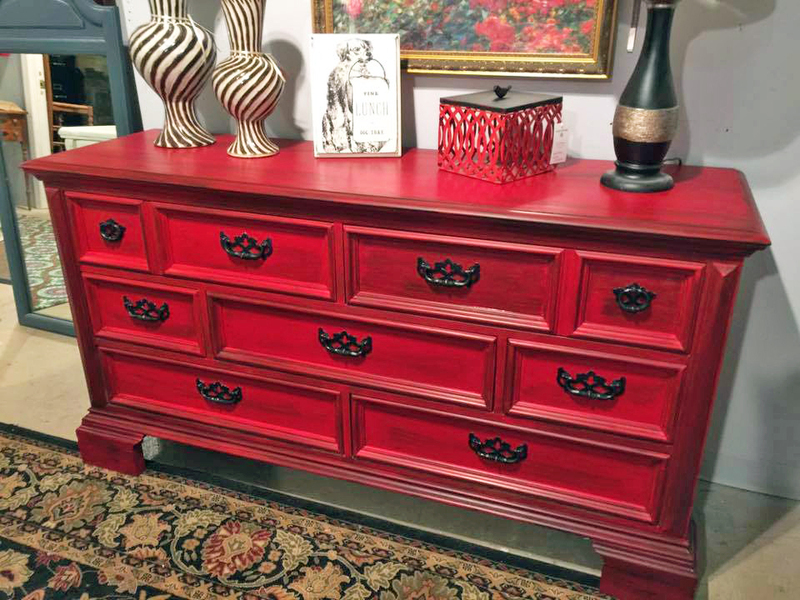 Kiki's Kottage_ says, "I am obsessed with this Holiday Red Milk Paint and Pitch Black Glaze of General Finishes! This is even more gorgeous in person! Mesmerizing!"